As a towing company that specializes in medium and heavy-duty jobs, we’re familiar with utilizing our trucks for more than just towing. From winch-outs, to roll-overs and every type of lift, we’ve seen it all during our 30 years in the towing business. 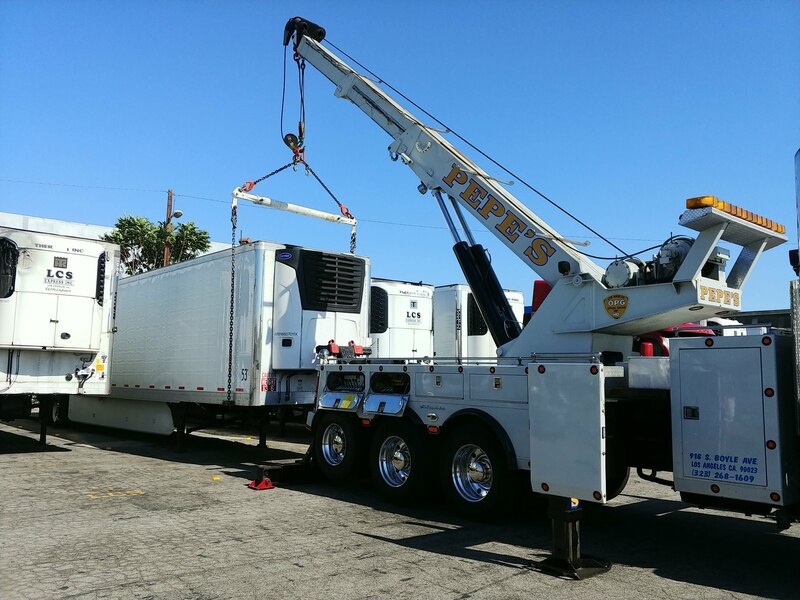 So, when it comes to handling trailer lifts and container lifts in Los Angeles, the Pepe’s Towing fleet is equipped to handle any sized job. Whether you have a trailer that needs to be moved, hitched or unhitched or a container that needs to be loaded or unloaded for transportation, our heavy-duty rotators and towing technicians are here to help you. 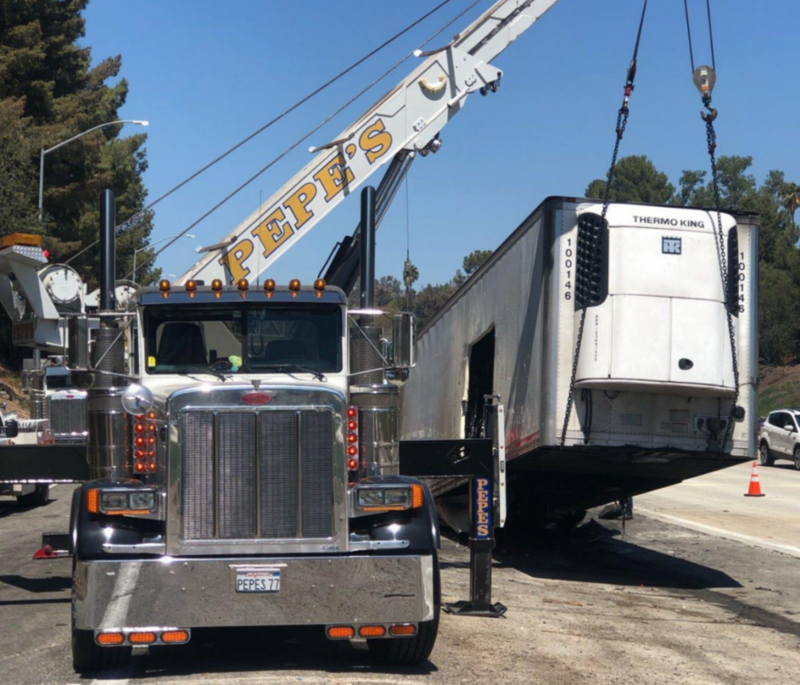 We know you have many towing providers to choose from here in Los Angeles County, but few can match our fleet size and experience when it comes to heavy-duty towing and trailer lifts. No job is too big for our vast fleet of trucks and experienced technicians. We’re here 24/7 to help you get the job done safely and efficiently. For more commercial trailer and container lift needs, we also provide container loading and unloading services out of the port of Los Angeles and LAX. So, if you’re in need of a reliable towing company to help you with commercial container lifts on a regular basis, contact us today to discuss contract options. Give us a call at 323-268-1609 or e-mail josh@pepestowla.com.